Bumpers UK Ltd is a well established company who take pride in supplying quality service. We have been in business for over twenty years now operating throughout England , Scotland and Wales. Our main business is the collection of plastics for recycling , the haulge side of our business was a natural progression for us as we operate trucks nationally on regular schedules . 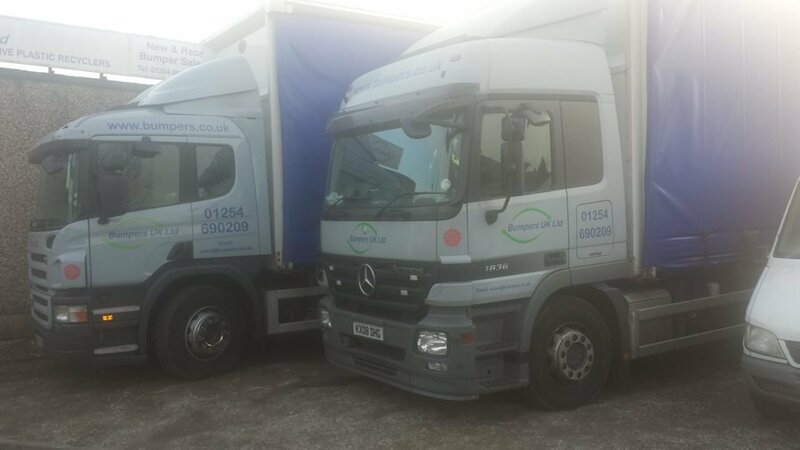 We are based in Blackburn in the North West of England and as we go out collecting our own material we can be flexible and accomodate most customers haulage needs. Our vehicles have tracking systems fitted so we can track your load no problem at all.